This time of year is wonderful for enjoying an array of wild foods and medicines. In March we had the first harvests of the nettles, cleavers, chickweed and violet leaves, all of which are full of minerals and cleansing to our bodies after the stagnancy of winter. Though this year has seen an exceptionally cold, wet April following on the heels of an exceptionally warm March, it is not uncommon for April to be a chilly and rainy month in this part of the world, associated as it is with showers and late frosts. So it is just at the right time that we have a lovely array of pungent herbs available to us for blasting away some of the damp and the chill. Sour is considered the flavour of spring in Traditional Chinese medicine even though many sour foods are fruits and berries that don’t arrive until the late summer and autumn. Many of our spring greens do have some sourness to them however, most obviously the sorrels which have a deliciously tart lemony flavour. The salty flavour is also common in springtime with many mineral rich herbs like nettle and cleavers being considered to have a salty taste. Pungent herbs are those that taste aromatic, spicy or acrid. Many of our favourite culinary herbs are pungent like oregano, rosemary and sage and all the kitchen spices like ginger, coriander, cumin or cayenne. Pungent herbs help to stoke the digestive fires and are stimulating, warming, drying and dispersing. They produce sweating so can help to release a fever and improve the circulation. They dry and dispel mucus helping to relieve cold, damp conditions as well as relieve bloating, gas and nausea. Too much of the pungent taste however can damage sensitive mucus membranes and easily overheat people who are already of a hot constitution. There is an array of pungent herbs available to us in spring which will help to thin mucus and get our circulation moving as well as helping to dispel the stodginess of our winter bodies. These include ground ivy, garlic mustard and ramsons or wild garlic. These herbs have their differences but what they all share is an affinity for warming the digestion, expelling mucus, aiding the lungs and cleansing the blood. Ground Ivy (which you can read more about in this post) is wonderful for stuck catarrh and congestion and can be used in tincture or tea for getting things moving. Garlic mustard and wild garlic make delicious and nutritious additions to salads. soups, stews and pestos and are lovely infused into apple cider vinegar then sprinkled liberally on foods. I have been adding a little pungent and a little sour to our nettle soups with a generous portion of chopped fresh garlic mustard and a few sorrel leaves to incorporate all those lovely spring flavours. Just the thing for spicing up these grey old days! I can’t believe my luck in you posting right at this very moment, as I’m currently on the internet looking for some relief for sinusitis, and here you are posting about cleansing herbs. 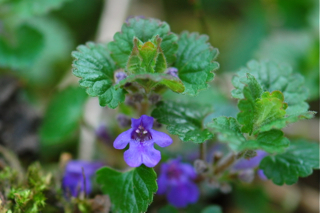 I didn’t know ground ivy was useful for sinus problems – I’ve not come across it before. Don’t some of the plants have fantastic names? I love ‘Jack-By-The-Hedge’. Thanks for giving me some new ideas to try! I love synchronicities! Yes it grows everywhere so you are sure to have some nearby. It has a funny sort of pungent but musty flavour but you can have it in tea or make a tincture with vodka and take it that way, though you would have to wait before that was ready. The country/ common names are so interesting aren’t they, there are some very colourful ones! Pungent is such a nice flavor that needs more love in the US – we’re way to obsessed with sweet and salty. Yes pungent is a wonderful flavour, I couldn’t imagine going without ginger and garlic and rosemary all those other lovely culinary herbs. I hope you enjoy your garlic mustard! This year I am on a mission to find garlic mustard! I know it grows round these parts but I have never successfully found any. I have a feeling that this will be the year I do, though, so we shall see! 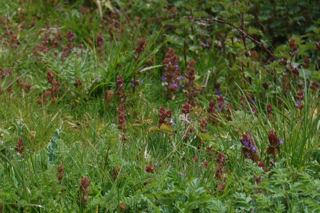 You’ve reminded me to go and visit my favorite ground ivy patch – I bet they are just about ready to harvest now. Your nettle soup sounds divine by the way! 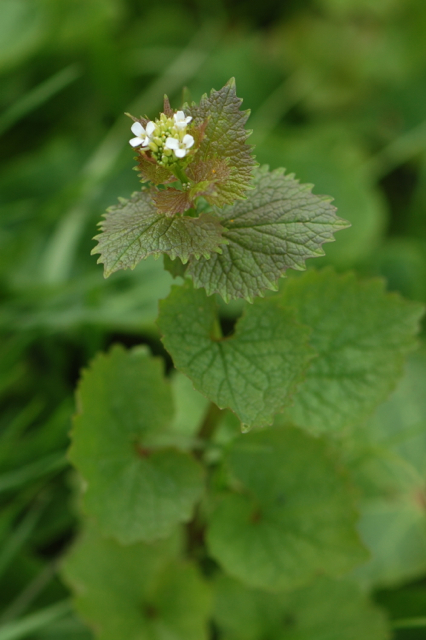 I’ve been looking at the garlic mustard growing in my garden and wondering if it was edible – now I know it’s safe to eat, and it has health benefits too. Looks like I have a new leaf to add to the salads! Another lovely and useful post. I grow ground ivy, jack by the hedge, and wild garlic in the garden. 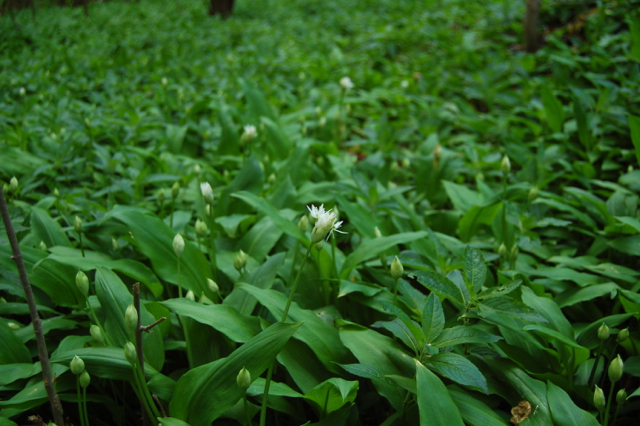 I had a salad today and added jack by the hedge and wild garlic along with some home grown herbs……it was so delicious. I made a hemp oil dressing with balsamic and honey. I always feel happy when I eat this sort of food. I am now going to pick some ground ivy and make a tea as I have a bit of a cold. I shall pick extra and make a tincture ready for future use. A white witch of course……. It sounds delicious! I know exactly what you mean about these foods making you feel happy. Wonderful informative post. Thanks for sharing your knowledge. Happy Beltaine to you dear one! Lovely photos and information! Dylan and I love to nibble little sorrel flowers:) yummy! 🙂 love to you!